One of the most frequent questions we’re asked by fans of Treehouse Masters is, “where has Daryl gone? We used to see him on every episode, but lately he’s been absent!” Fans, rest assured: Daryl has been as busy as ever designing and building treehouses with Nelson Treehouse and Supply; it’s just that he’s been working on projects that haven’t been filmed for TV. To satiate those of you who have been desperately missing Daryl, we sat down with him to find out more about his treehouse career, design inspiration, and hobbies. Read on to learn ten facts about the man, the myth, and the legend behind many Nelson Treehouse and Supply builds. Daryl’s dream treehouse would be a simple covered pavilion or deck. He believes the best part of treehouses is that they enable people to engage with nature, and would like his dream treehouse to be as open to the trees as possible. Sometimes simplICity is best when it comes to treehouses, like this treehouse deck platform in Brazil. Daryl has worked with Pete for over 15 years—he started working for Nelson Treehouse and Supply as a summer job during college. After graduating from the University of Washington with a degree in political science, Daryl faced the choice of attending law school or building treehouses. Naturally, Daryl followed his passion for carpentry and chose to take to the trees. The rest is treestory! Daryl demonstrates how to install a TAB at a treehouse workshop in 2012. One of Daryl's favorite Nelson Treehouse and Supply builds was the Irish Cottage Treehouse in Huntington Beach, California. He especially liked working on the curved design and hand-crafted add-ons. 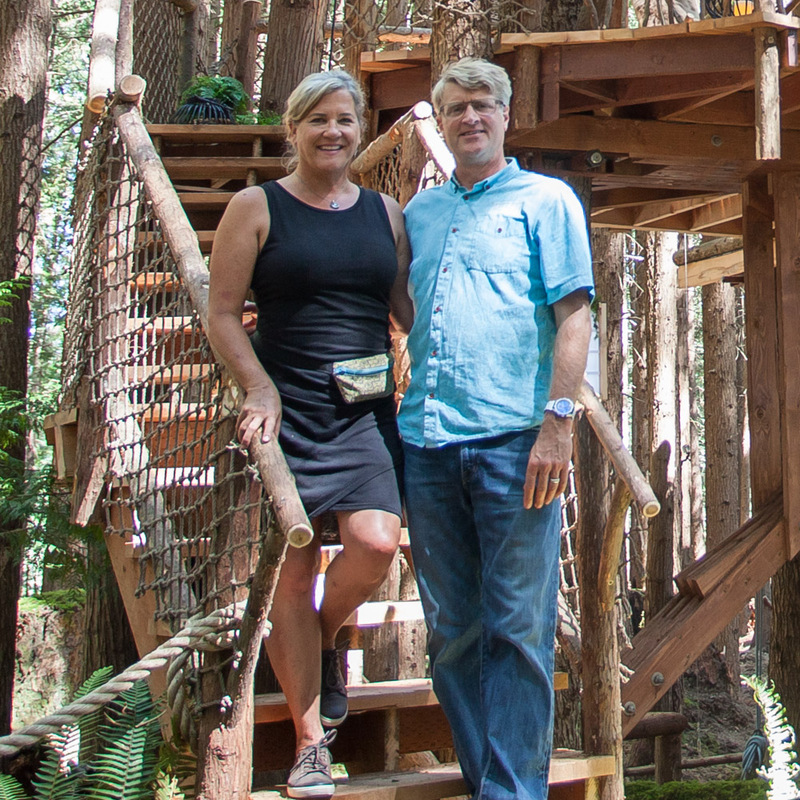 More recently, Daryl loved working on the design and construction of a treehouse on Orcas Island, Washington. Working in a beautiful, secluded section of the forest made building a breeze. When asked what his design inspiration is, Daryl answered “it’s always the trees.” He believes that although you can bring a design concept to the trees, the trees will (and should) always shape the design. Trees play a leading role in Daryl's treehouse designs, as in this treehouse in Tennessee. Daryl likes all tree species, but is especially fond of working with tall, strong Douglas firs and twisty California live oaks. Daryl believes that different trees present new and unique design challenges and inspiration! One of Daryl’s most memorable builds was when he, Pete, and Roderick Romero collaborated on a treehouse for a vocational school in Tangier, Morocco. Daryl really enjoyed working with students from the school to build the treehouse. When asked what his biggest design challenge has been, Daryl cited coming up with ideas that continue to push boundaries. Daryl is constantly looking for ways to dream bigger and produce fresh, innovative designs. The Orcas Island treehouse was one of Daryl's recent projects. 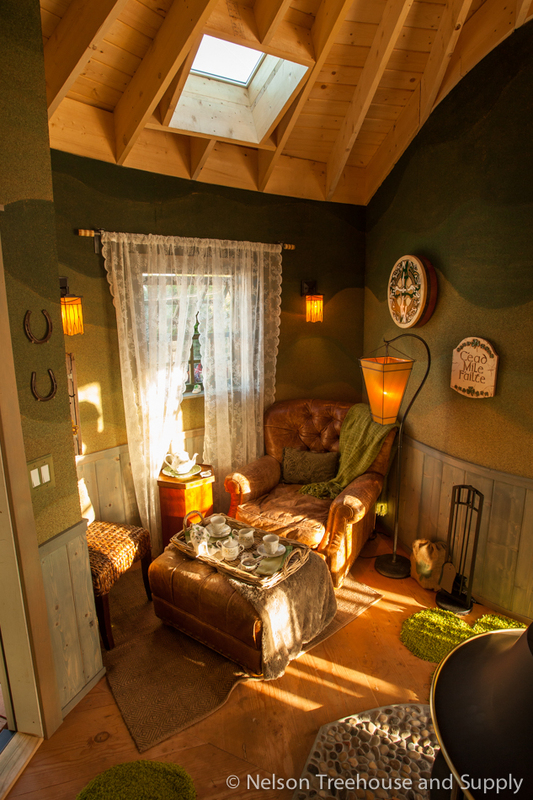 Daryl's design included pine wood paneling and an arboreal loft for the clients' grandchildren. When he’s not building treehouses, Daryl likes to snowboard and mountain bike. He has also recently started learning to sail! Daryl’s favorite food during a build came from The Whip Tavern in Coatesville, PA. The tavern's authentic British-pub fare made building treehouses in Longwood Gardens even better. Daryl now enjoys the challenge of designing treehouses and believes his background in building informs and improves his designs. Daryl recently worked on this adventurous treehouse for Camp Cho-Yeh. Daryl's Designs for the camp cho-Yeh treehouse included netting and multiple platforms. Watch him explain TABs in the video below, and find more videos of Daryl on Nelson Treehouse and Supply's YouTube channel. To stay updated on Daryl's work, follow Nelson Treehouse and Supply on Instagram and Facebook.